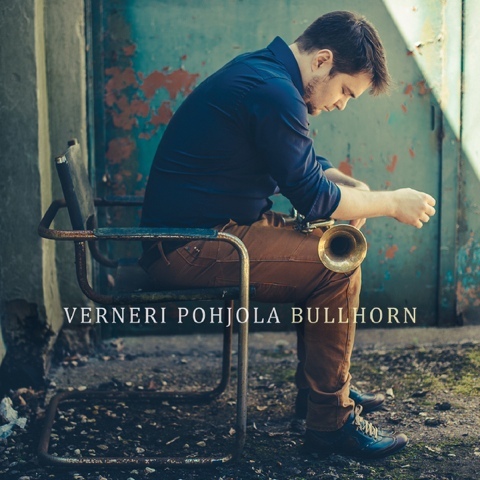 After his two successful ACT albums, Verneri Pohjola's Bullhorn came from Edition Records. The British label is among the best European ones for jazz now and it is getting more and more popular each day. The album is evidently different than the previous ones considering first of all Verneri Pohjola's statement in the liner notes: "I still feel as young as ever but at the same time more sure about everything than ever before... In my opinion this is the most adult thing I've ever musically achieved." From the first track Another Day, a dignified nordic trio introduction -by Aki Rissanen (p), Antti Lötjönen (b), Teppo Mäkynen (d)- prepeares the listener to the main character: Verneri Pohjola with his distinguishable trumpet tone and mature compositions. Sometimes reminding the well known relaxing cool jazz period, sometimes reaching at high pitches of the avant-garde, he promises a completely international and hard-to-classify album. As can easily be guessed from the title, Girls Of Costa Rica is a tribute to Miles Davis' Filles De Klimenjero and it can easily be shown as a hit from the album. Bass riffs are unforgettably catchy and since we are tempted in this piece to resemble it to some old records - and Miles Davis is already mentioned - I could not help myself from saying that I feel like John Coltrane's A Love Supreme is playing subliminally in my head. The tonal harmony between the saxophone and trumpet is very successful. Jussi Kannaste also gives a nice solo-like tenor performance just before the end. He Sleeps, I Keep Watch reminds me of lyricism and minimalism in Verneri Pohjola's previous albums - especially in Ancient History. In my opinion, standing all alone on such low level drum accompaniment with just a trumpet line is a brave act and Verneri Pohjola is very successful on this. The fading bass and saxophone create a really impressive end to the performance. The trombonist Ilmari Pohjola -like in some other pieces- supports the trumpet's performances successfully. We also hear some cello touches from Ilda-Vilhelmiina Laine in this piece. Bass and drums create an organic environment for the first movement of the trumpet in the title track and the piano inserts some pyschedelic touches before the main theme is given. The body of Bullhorn sounds really improvisational with surprising trumpet attacks and percussive rhythms coming from almost all other instruments. The part where the trumpet leaves them for another improvisational set is very impressive and the connection of this part back to the main theme is well achieved. Aki Rissanen has a distinctive style and a huge dynamic range on his piano, driving the whole band with his energetic attacks travelling all the way from 20 micropascals to the 90dB SPL. Started like a cool down of energetic Bullhorn, In La Borie introduces us Verneri Pohjola's low level and extra long -hard to keep stable- notes. Like a clear whisper in the silence, it is very efficient independent of its energy level. Once again, the piano trio plays amazingly touchy and also gives the necessary space to the trumpet. Extremely minimal drum accompaniment creates a very mystic environment for a great ballad-like performance of Verneri Pohjola in This One is For You. It reminds me of Nordic melodies from some cold seasons. Metallic, tensional and dark sound are consistent with the title Nanomachines. Closing your eyes and forgetting that the line-up is full of Northern European musicians, you can easily feel yourself in a New York jazz club listening to some old school jazz musicians jamming but in a more free format or else -let me say- in a contemporary way. A sweet untidy feeling spreads in the listening room in Ouroboros while the trumpet's main theme is asymmetrically accompanied by minimal percussion (more than the drum set), the stable clock-like bass and the melancholic piano. The Cold Blooded rhythm in the ninth track -which comes from the left hand of the piano, drums and bass- is warmed up by the instantenous movement made by the trumpet. Its statement -which actually is the main theme and chorus- sounds like the hopeful piece of the soundtrack of a happy ending film, where the good wins against the bad. All the amazing piano, bass and drums partitions, their nice harmony, the horns and the sax... The enchanting surprises of Verneri Pohjola... They all try to elegantly say that the end is near in the last piece: The End is Nigh. Recorded & mixed by Mikko Raita at Petrax Studios (Finland) and Studio Kekkonen (Finland) and mastered by Svante Forsbäck at Chartmakers West (Finland), the album has a solid, transparent and organic sound quality. The localisation of the instruments on the stage and the usage of the dynamic range are successfully achieved. The album is produced by Verneri Pohjola and Edition Records' Dave Stapleton.